Not being able to eat wheat, I’ve been substituting spelt bread and kamut bread for years in my sandwich-making. The disadvantage I found to this was the way the flavour of the bread interfered with the taste of the filling. And looking back, I realize that I find the flavour of any kind of bread interferes with the taste of the filling. Not too long ago, I was in a situation where I’d need to eat sandwiches during a weekend event – and I realized I’d neglected to bring any of my own “weird” bread. I went into a grocery store, hoping there might be some kind of non-wheat bread available. Instead, I chanced to pass through the produce section, and I saw a container of pre-washed romaine lettuce leaves. “Crispy Wraps”, the label said. The dim bulb over my head glowed brightly. I bought them. Once I was at the event, and it was lunch time, I picked out some cold cuts, mayo, cucumber, arugula and dill pickle slices, and wrapped them up in one of these handy leaves. I thought it would be, well, okay. And at least I’d be able to eat it. I tucked the curly end up a little, folded the sides, and began to chomp at the end that would have been closest to the root when the leaf was still attached. I was unprepared for the magnificence of the taste. It was like the sandwich fixings, deprived of their bread buffer, had been given leave to explode their flavours into my mouth. For the first time, I really tasted a sandwich. And man, was it good. I felt like eating bread-encased sandwiches had deprived me of flavour all those years. And, I realized, this also gets not only fewer grains, but more vegetables, into my diet. All this, and it tastes better, too. Since then I’ve been experimenting with sandwich fillings. Cream cheese and cucumbers. Bacon and tomato. Even hot dogs and hamburgers. 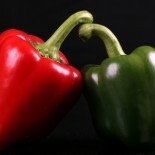 They’re wonderful this way – amazingly fresh and vivid and real, lacking the heavy, muting effect of bread. I really recommend that you give this a try. The pre-washed leaves are convenient, but I’ve also bought a head of romaine and made my own. Either way – make yourself one of these sandwiches. You may never bother with the bread again. Cool! I definitely find it an improvement in the overall sandwichness of things. 🙂 Going to try chicken salad next. I love lettuce wraps in all forms! Asian flavors are my favorite. Sandwich chains like Subway and Jimmy John’s even have “unwiches” in which they take all your filling and put them in a lettuce wrap instead of bread! Ok. I love love love lettuce. Explain how you wrap yr goodies in them. I’ve been trying to do them for yrs but they always fall to pieces. Describe romaine lettuce for me. Story. My grandparents came from the ukraine to england with all their family in 1912. I don’t know if they spoke russian i only heard them speak yiddish and yiddish-english! Words all mixed up etc. A family story is my dad’s cousin’s mum sent her to buy a lettuce. She presumed her mum had mispronounced the word and asked for a lettyuce. That’s what it’s been called ever since. I like it! 🙂 Romaine lettuce is the long-leaf kind of lettuce they make Caesar salads with. Don’t know if you have those where you are, but the leaf shape is long and narrow-ish, with a more dense rib down the centre – perfect shape for wrapping a sandwich or a sausage. The British name for Romaine is Cos.
Not sure i’m ready to give up on bread entirely but I now just use one slice and then the filling. it’s messier but I agree, the bread kind of takes over. Now i know what lettuce i’m dealing with could you explain to a clumsy person how to wrap the leaves tightly please? I’m clumsy too! 🙂 Just use them like a hot-dog bun, and curl the leaf around the filling. Fold the large end over, and tuck the sides up, and start eating from the end that would have been closest to the root, when the leaf was attached to the rest of the lettuce. I think the washed romaine lettuce we have is nowhere as near as big as yrs. I tried today with mayo, some mashed avocado and a little sliced cucumber. Tasty but messy. I suppose i could buy a whole one and wash the leaves but a like the middle ones. Or maybe try with another kind of lettuce? 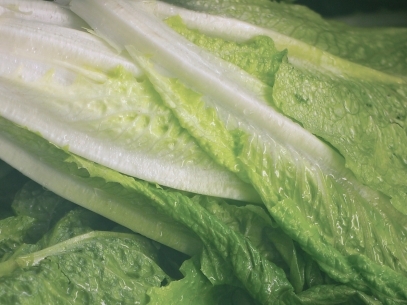 Boston lettuce and butter lettuce, if you have access to them, don’t break as easily as iceberg lettuce (head lettuce). Judy- size doesn’t really matter. It’s more an issue of ratio, the amount of filling versus leaf size. Experiment with that ratio until you find what works best for you. We only have romaine/cos/arabic or iceberg. Such a shame we don’t get all you get in usa or uk or sa. Oh my. Well where lettuce leaves are concerned size really does matter. This entry was posted on April 22, 2013 by thinkreadcook and tagged bread, food, gluten, grain, grains, health, lettuce, nutrition, romaine, sandwich, sandwiches, vegetables, wheat.